The owl’s death appears to have been caused by a gunshot, New Mexico Wildlife Center spokeswoman Dawn Wright said. Bird watcher Julie Luetzelschwab photographed two burrowing owls on June 27, and three days later one of them was missing. The owl was found nearby. One leg was missing and the wings were spread as if it had been flying when it was struck. X-rays showed shrapnel in the bird’s left wing and shoulder blade. 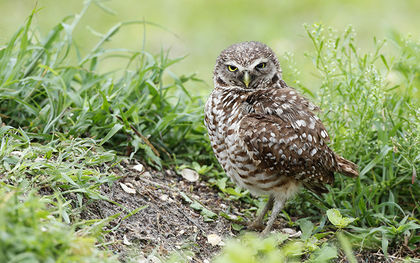 It’s almost impossible to catch those who hunt the owls, Whitfield Wildlife Conservation Area manager Ted Hodoba said.